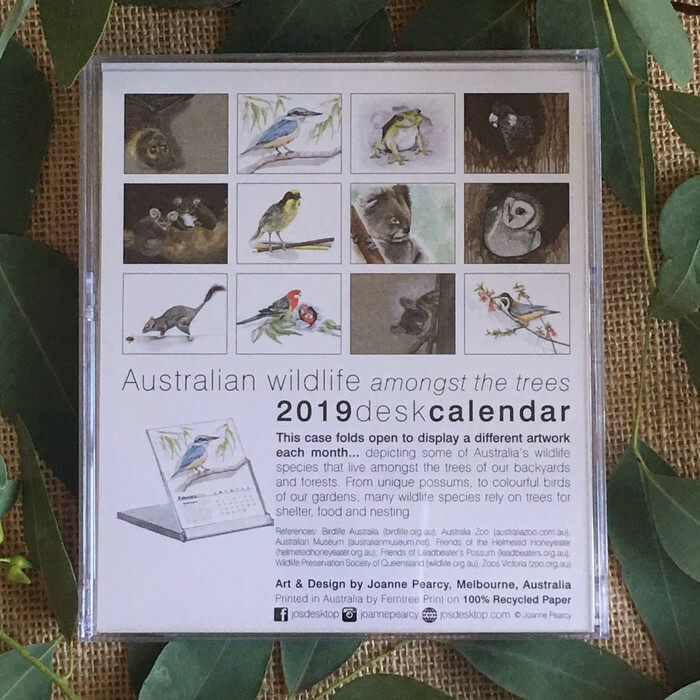 2019 Desk Calendar - Australian wildlife amongst the trees. 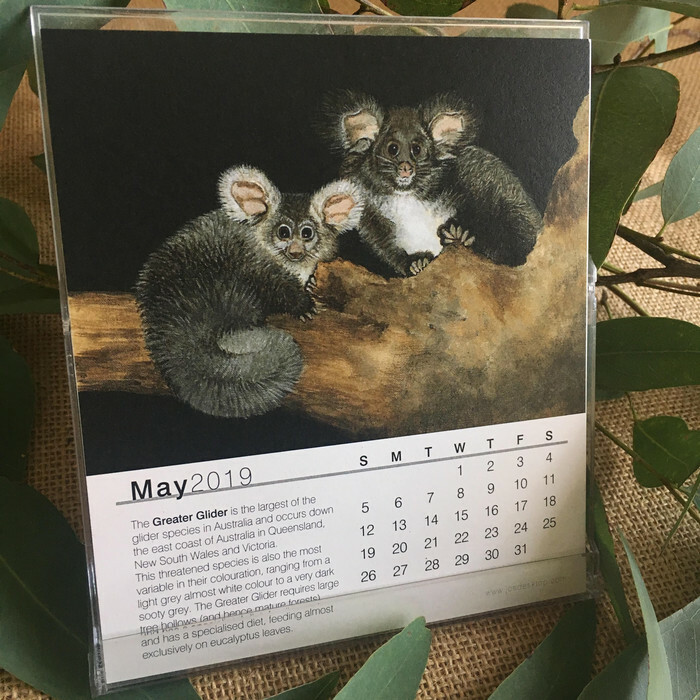 Depicted in this calendar are some of Australia's wildlife species that live amongst the trees of our backyards and forests. From unique possums, to colourful birds of our gardens, many wildlife species rely on trees for shelter, food and nesting. 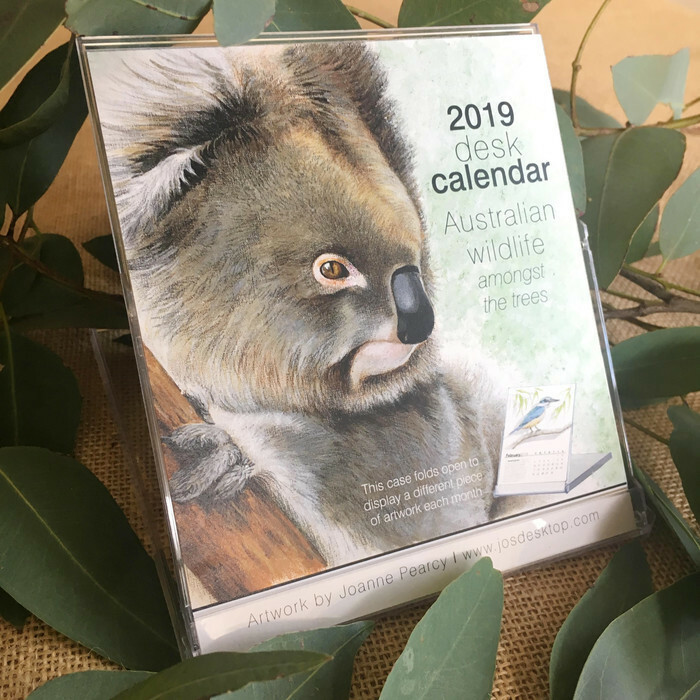 Each page displays one of Australia's precious animals or birds. 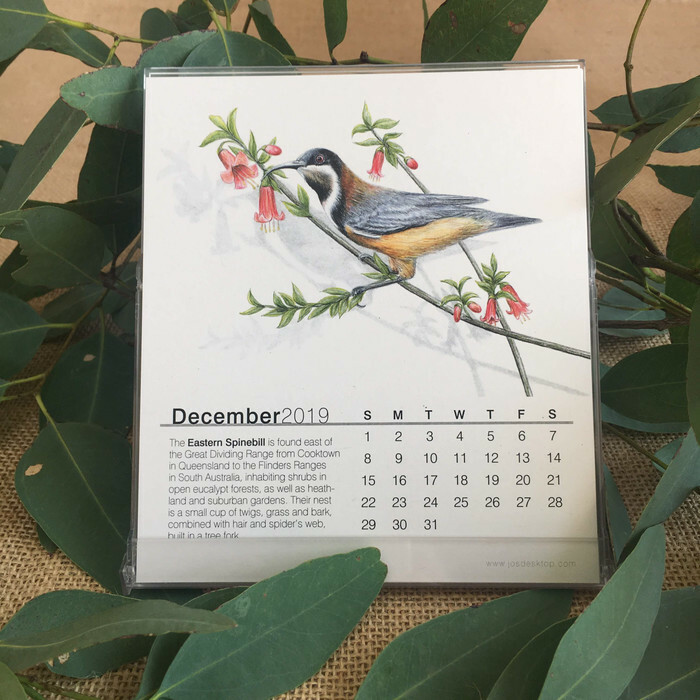 They are reproductions of original drawings or paintings by Joanne Pearcy, Melbourne, Australia. 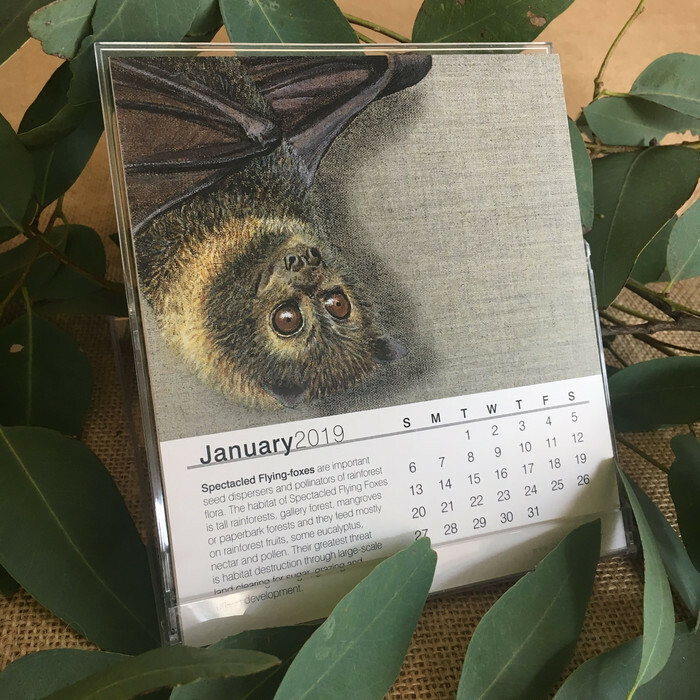 This CD Calendar case folds open to sit neatly on your desk and displays a different piece of artwork each month with a brief description of that species. Posted to you in a CD Mailer box to ensure it's safe arrival. 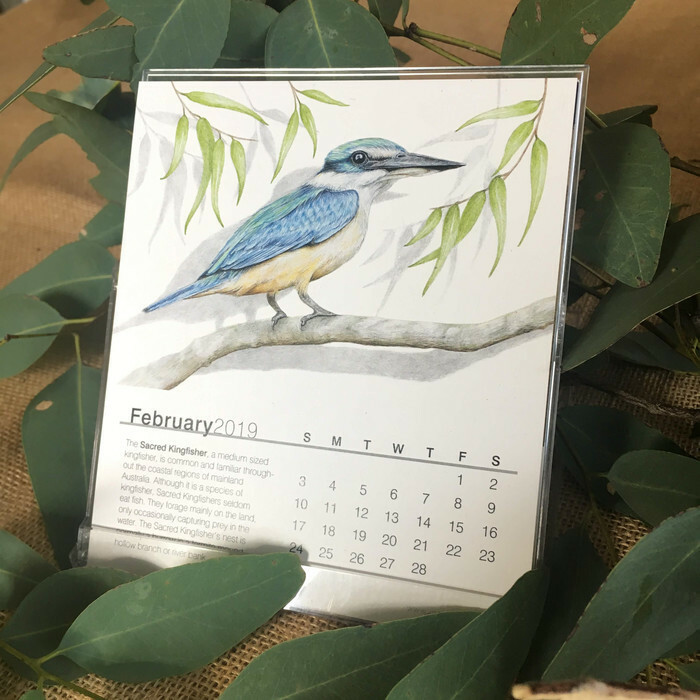 Thank you for visiting - Check out my other listings for art cards, gift boxes, prints, tea towels and cushion covers. I SUPPORT VARIOUS WILDLIFE CONSERVATION PROJECTS/ORGANISATIONS AND DONATE A PORTION OF PROFITS.